Turn zipper to wrong side & align with pattern edges. Using tailor’s chalk make several marks on fabric & zip. 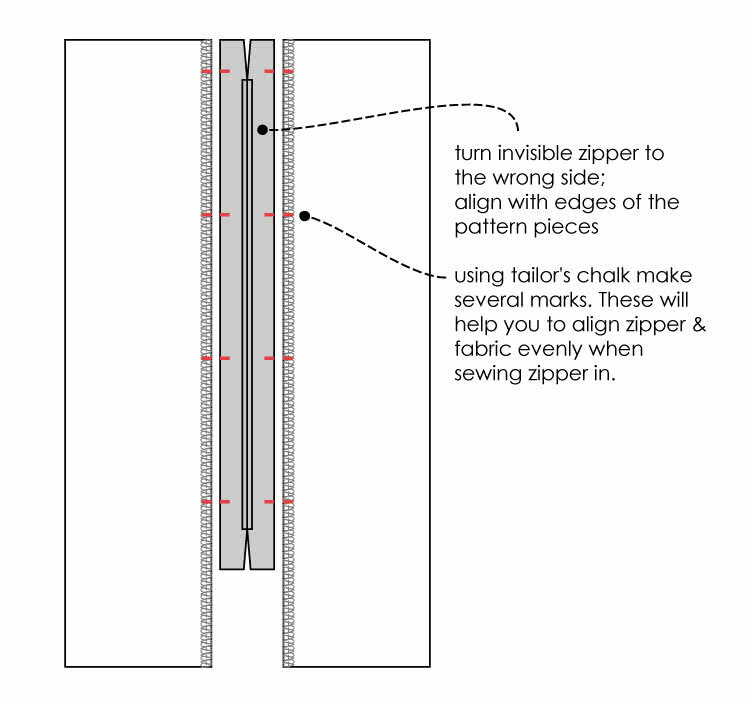 These marks will help you to align zipper & fabric evenly when sewing zipper in. 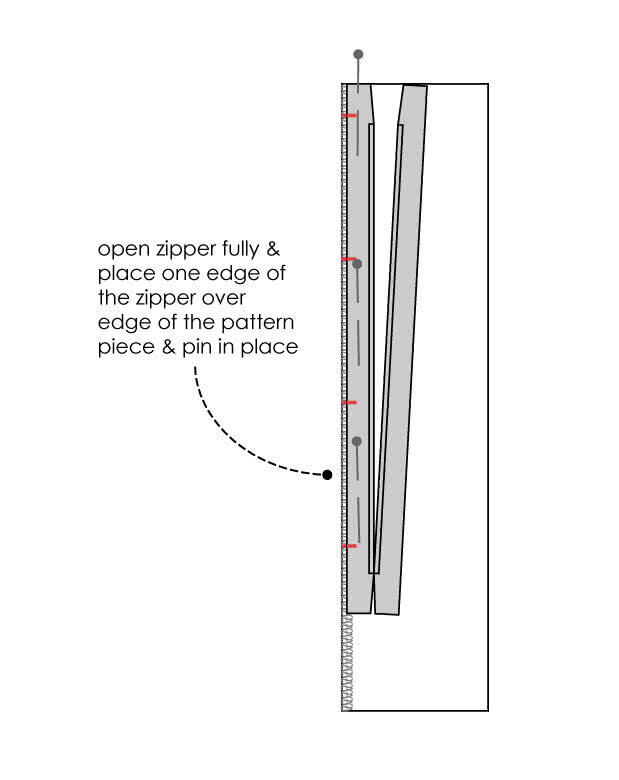 Open zipper fully & place one edge of the zipper over edge of pattern piece. Pin in place. 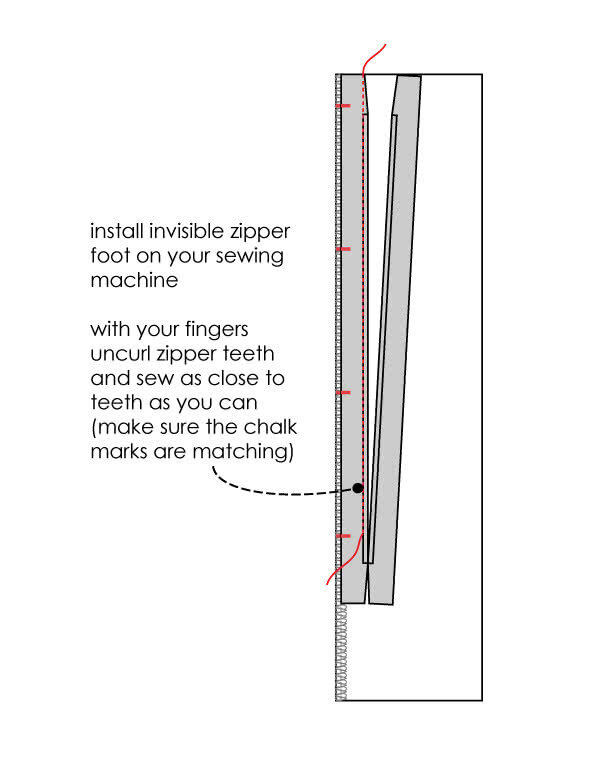 Install invisible zipper foot on your sewing machine. With your fingers uncurl zipper teeth and sew as close to teeth as you can. Make sure the chalk marks are matching. 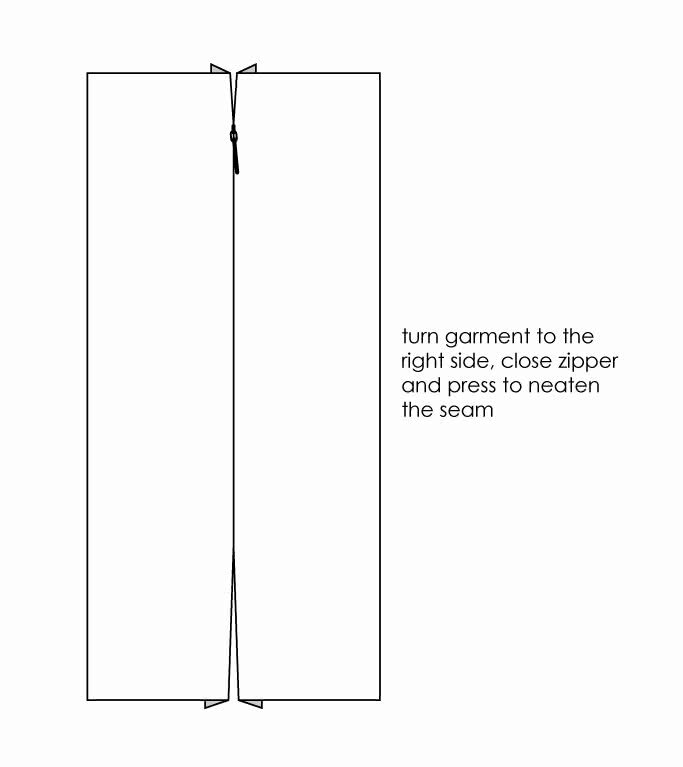 Turn the garment to right side & press to neaten the seam. Change invisible zipper foot to standard zipper foot. 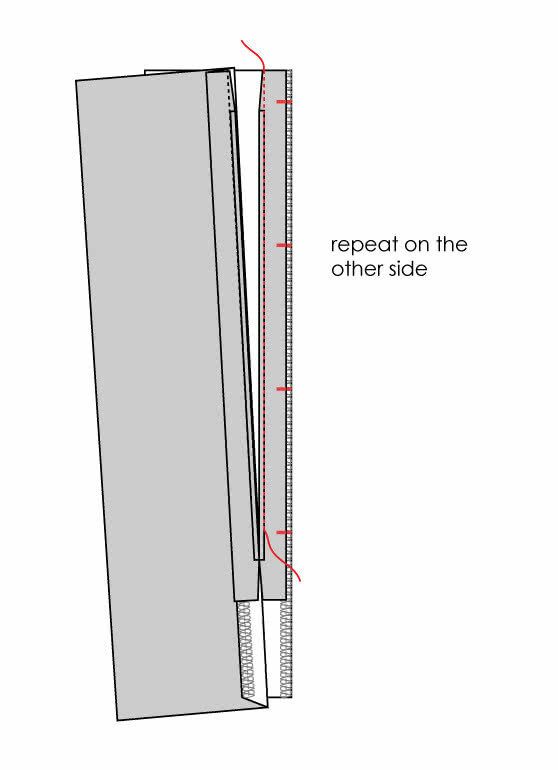 Pin the remaining of the seam. 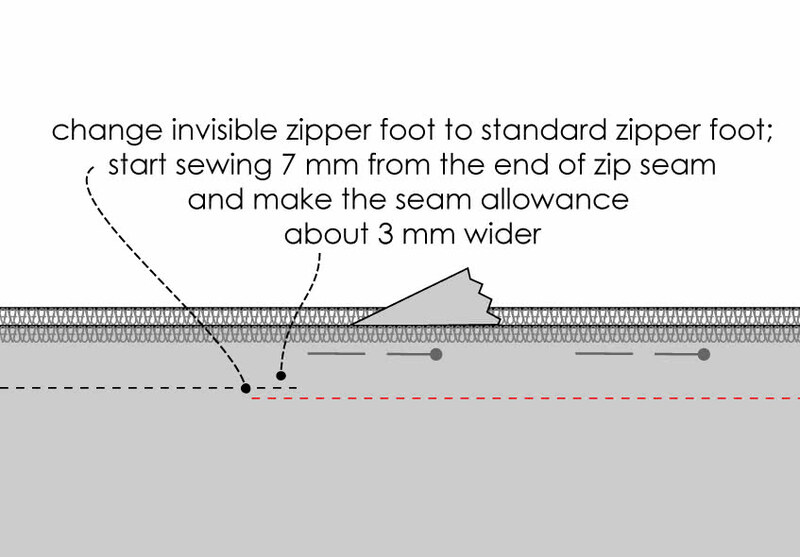 Put foot to the left of the zipper & start sewing 5 mm up from the end of the zipper seam and make seam about 3 mm wider. Press seam open from the wrong side.